In less than a year this garden has grown a tonne of veggies which were cooked into nutritious meals for people in need. 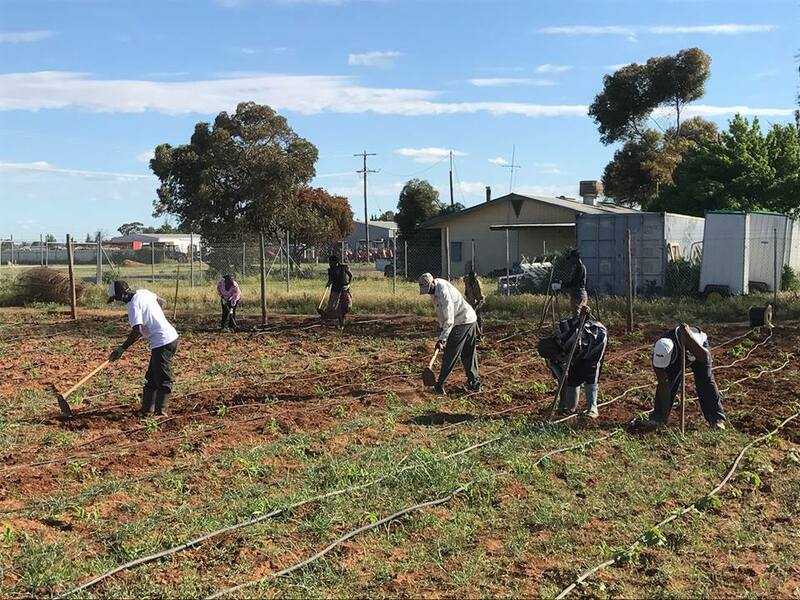 We helped FareShare access this VicTrack land quickly and design a productive and safe food garden. This garden is growing traditional Burundian crops to share with the local community. We helped them develop and sign an memorandum of understanding with the landowner so that they could make the most of this land. With our support, one dedicated resident found a community, land and funding to start a brand new community garden. Going from initial idea to thriving garden in only 6 months, this garden must be a record breaker! And we want to make more! 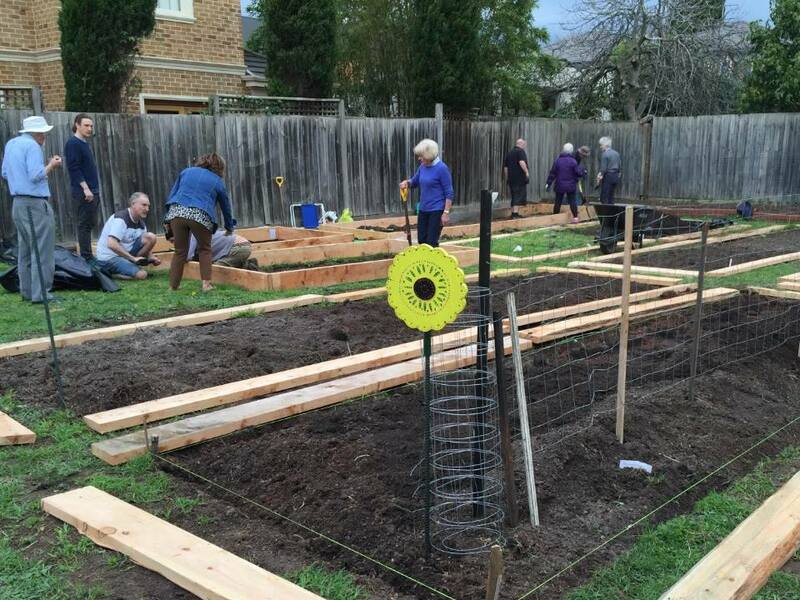 We’re working with groups in Collingwood, Spotswood, Footscray, Clifton Hill, North/West Melbourne, Toorak and Wangaratta where more people want to start gardens. And that is why we've launched our first crowdfunding campaign: to raise money to get another garden up and running by July next year. We've already made it halfway to our target, and our sponsor, Patagonia, will be matching every dollar donated, which will ensure that we get over the line. But every extra dollar raised will help us make the new garden all the bigger and better. Thanks so much for contributing to this community-led transformation of our city! Our food systems are under increasing pressure from growing populations, diminishing resources and climate change. But, in a new report, we argue that city foodbowls – the agricultural land surrounding our cities – could supply more secure and sustainable food. The final report of our Foodprint Melbourne project outlines a vision for “resilient city foodbowls” that can harness city waste to produce food, reduce dependence on distant sources of food and act as a buffer against increasing volatility in global food supplies. But to do so we need to start planning now. Food is a basic human need – along with water, housing and transport – but it hasn’t been high on the planning agenda for Australia’s cities. Australia’s city foodbowls are an important part of the nation’s food supply, particularly for fresh vegetables. Melbourne’s foodbowl produces almost half of the vegetables grown in Victoria, and has the capacity to meet around 82% of the city’s vegetable needs. Nationally, around 47% of highly perishable vegetables (such as lettuce, tomatoes and mushrooms) are produced in the foodbowls of the major state capitals, as well as eggs, chicken and perishable fruits such as berries. New analysis by Deloitte Access Economics has shown that Melbourne’s foodbowl contributes A$2.45 billion each year to the regional economy and around 21,000 fulltime-equivalent jobs. The largest contributors (to the economy and to jobs) in Melbourne’s foodbowl are the fruit and vegetable industries. Other research estimates that agriculture in Sydney’s foodbowl contributes around A$1 billion to the regional economy. The flow-on effects through the regional economy are estimated to be considerably higher. City foodbowls are increasingly at risk. Our project has previously highlighted risks from urban sprawl, climate change, water scarcity and high levels of food waste. Melbourne’s foodbowl currently supplies 41% of the city’s total food needs. But growing population and less land means this could fall to 18% by 2050. Australia’s other city foodbowls face similar pressures. For example, between 2000 and 2005, Brisbane’s land available for vegetable crops reduced by 28%, and Sydney may lose 90% of its vegetable-growing land by 2031 if its current growth rate continues. These losses can be minimised by setting strong limits on urban sprawl, using existing residential areas (infill) and encouraging higher-density living. However, accommodating a future Melbourne population of 7 million (even at much higher density) will still likely mean we lose some farmland. The Deloitte modelling estimated this will lead to a loss of agricultural output from Melbourne’s foodbowl of between A$32 million and A$111 million each year. 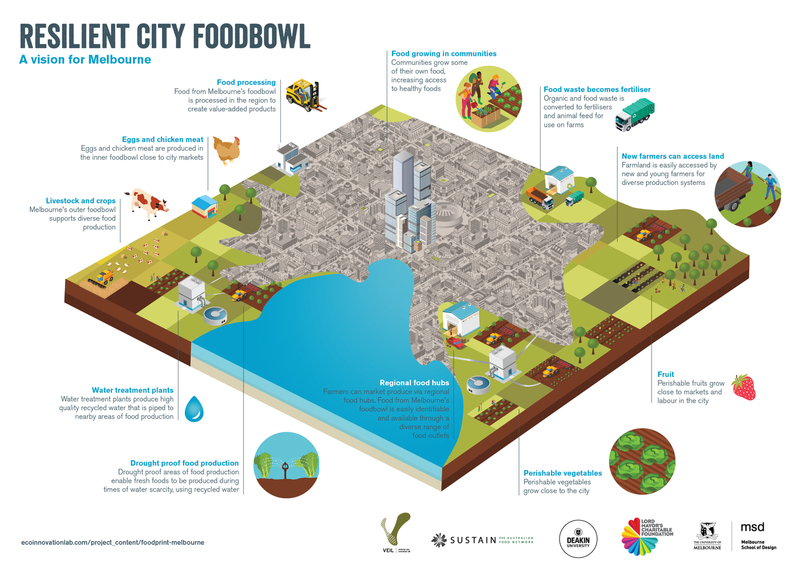 Australia’s city foodbowls could play a vital role in a more sustainable and resilient food supply. If we look after our foodbowls, these areas will strengthen cities against the disruptions in food supplies that are likely to become more common thanks to climate change. The New Urban Agenda adopted in October 2016 at the United Nations Conference on Housing and Sustainable Urban Development, or Habitat III, emphasises the need for cities to “strengthen food system planning”. It recognises that dependence on distant sources of food and other resources can create sustainability challenges and vulnerabilities to supply disruptions. Resilient city food systems will need to draw on food from multiple sources – global, national and local – to be able to withstand and recover from supply disruptions due to chronic stresses, such as drought, and acute shocks, such as storms and floods. Our final report presents a vision of a resilient city foodbowl for Melbourne. 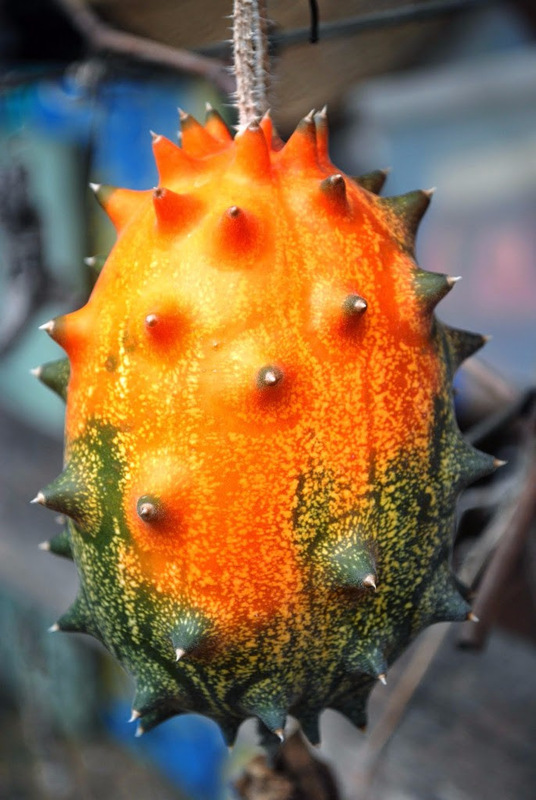 In this future vision, highly perishable foods continue to grow close to the city. City waste streams are harnessed to counter decreasing supplies of water and conventional fertilisers, and increased investment in delivery of recycled water creates “drought-proof” areas of food production close to city water treatment plants. If Australia’s cities are to retain their foodbowls as they grow, food will need to become a central focus of city planning. This is likely to require new policy approaches focused on “food system planning” that addresses land use and other issues, such as water availability. We also need to strengthen local and regional food systems by finding innovative ways to link city fringe farmers and urban consumers – such as food hubs. This will create more diverse and resilient supply chains. 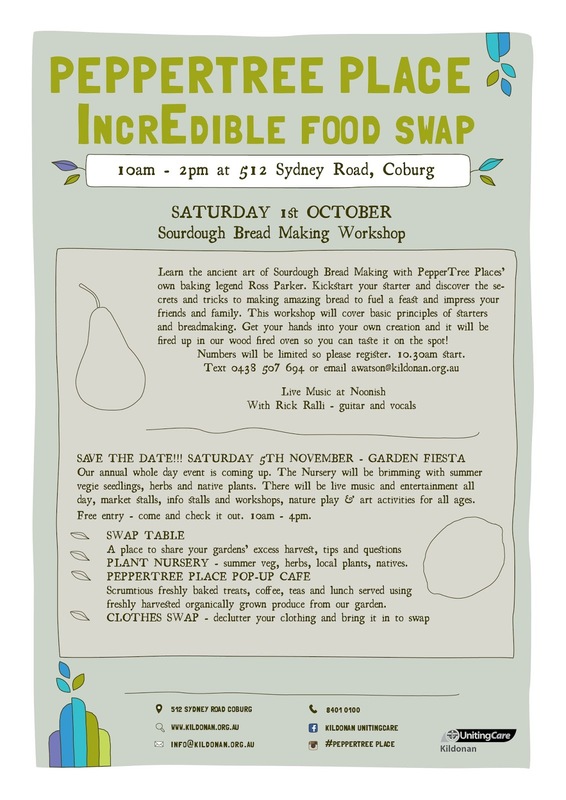 The Darebin Backyard Harvest Festival is back better than ever with a range of exciting events to inspire people to create their own food gardens. Presented by Darebin City Council in partnership with Darebin Ethnic Communities, the Backyard Harvest Festival runs from 19 – 27 November in a celebration of home food-growing traditions from around the world. 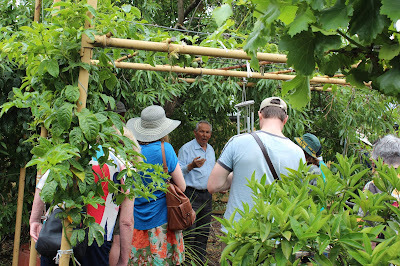 This is your chance to tour over 16 impressive home gardens around Darebin and participate in 7 great workshops, including keeping chickens and quails, aquaponics, and water efficient gardens. Tours and workshops cost $10 ($5 Concession), Children are free. BOOKINGS ARE ESSENTIAL as numbers are limited so BOOK EARLY! Home garden locations are provided at the time of booking. 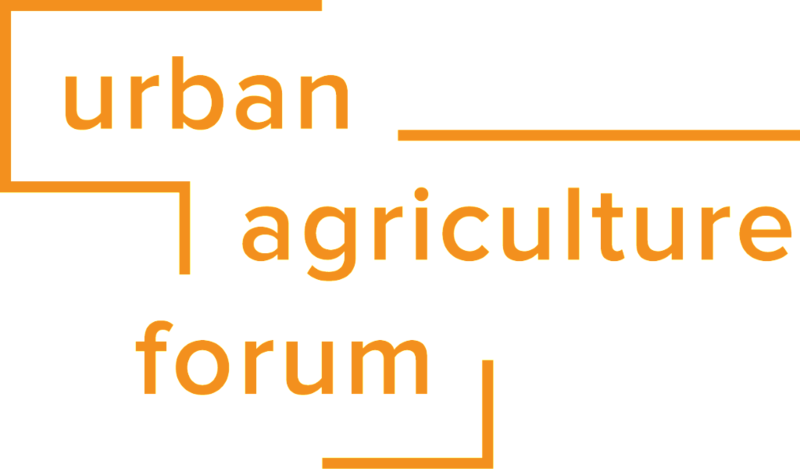 The 2016 Urban Agriculture Forum on Sun 20 - Mon 21 November at the Burnley campus of the University of Melbourne is bringing together practitioners and policy-makers from across the urban and peri-urban food landscape to build a shared understanding of what urban agriculture is, and the benefits and opportunities it can offer in the Australian context. 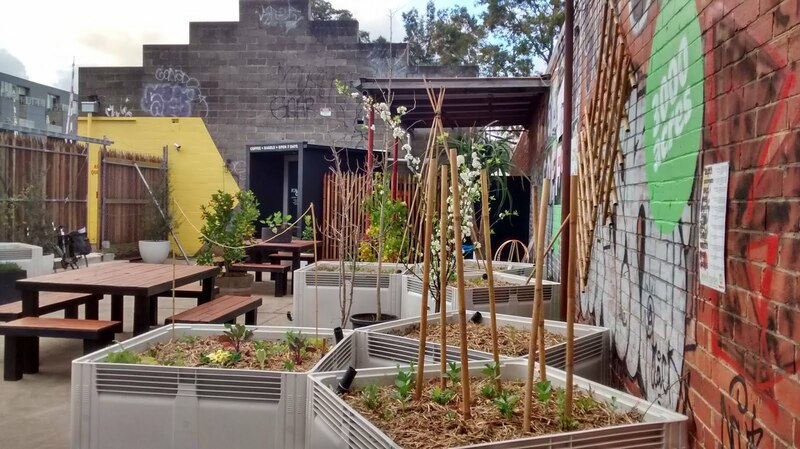 Acknowledge and celebrate the achievements of the urban agriculture movement over the past decade (and in some cases before) in Australia, both at the community and local government levels. Share lessons of good and best practice urban agriculture models, as well as failures and successes, from across the globe. Share the results of the research undertaken by Sustain and partner organisations, and reflect on the lessons for future practice and policy development. Identify and discuss the legislative, regulatory and resourcing barriers to the further expansion of urban agriculture in Melbourne and beyond. Develop a common platform and set of proposals to the State government to address the identified barriers. Sunday is aimed mainly at the people on the ground making urban ag happen and will provide an chance to hear and talk about the successes, challenges and opportunities. Monday is aimed at policy and decision makers and influencers from all levels of government, and as well as many local and national figures with expertise, feature a couple of international speakers who bring a different perspective and experience. If you share our interest in delivering on the promise of urban agriculture then come along, it's open to everyone. Go here for more information or to book your ticket! Bring a plate to share or some nibbles. Let's toast to six years of community gardening and collectively making Moreland a greener, more sustainable place to live & love. We will also be hearing from Amelia Downie (Melbourne University) about the Burnley Plant Guide database & making this resource more accessible to everyone! Calling all kids to come and get your hands dirty* at Jewell Garden! Kids will learn the basics of taking cuttings and will take them home in their own mini greenhouses made from recycled materials - please bring along a plastic soda bottle for re-purposing. We will also be rolling up our sleeves and getting our hands dirty with clay and compost to make SEED BOMBS. 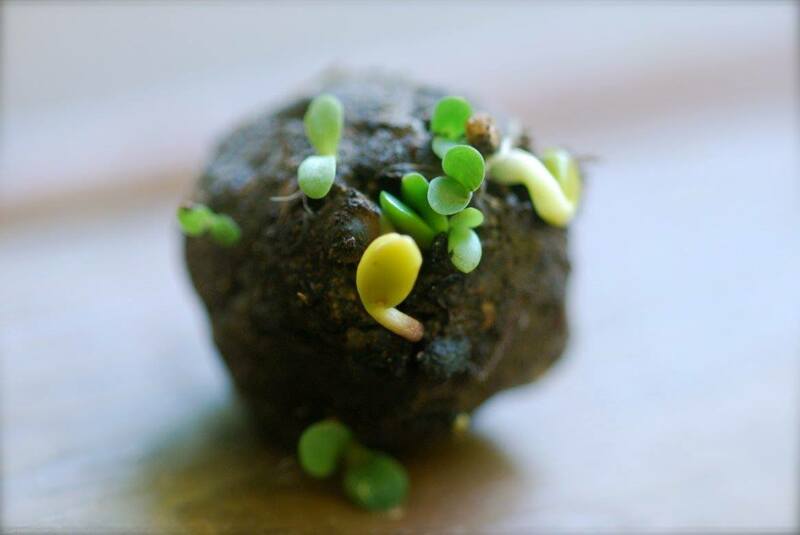 Kids can take part in beautifying their community by dropping their seed bomb anywhere they feel needs some greening! Laura the face painter will also be there, painting faces for just a gold coin donation! There will also be games! The garden is fully equipped for play: hula hoops, ring toss, chalk and bubbles. Parents, don't forget that Phase One Coffee is right next to the garden for all your Sunday morning coffee and bagel needs. Who: ages 4 to 14. *hands might not be the only things to get dirty - Sunday best is not recommended on this occasion. 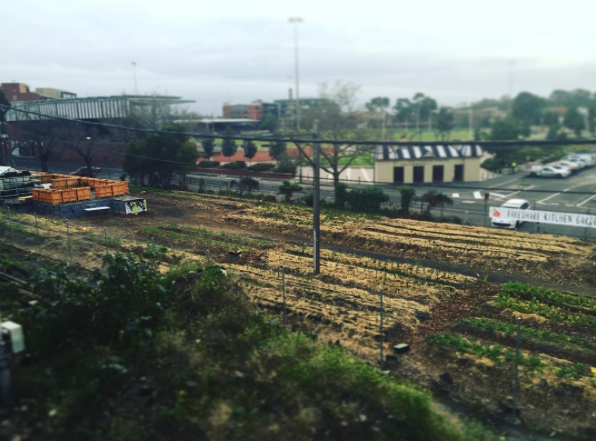 Whatever happened to Moreland's Urban Agriculture and Food Production Strategy? Why not ask our Council election candidates! Back in May 2015 some of us thought we were witnessing a local food policy breakthrough in Moreland. Council were seeking volunteers to join a Community Advisory Committee that would help develop an Urban Agriculture and Food Production Strategy for Moreland by 30 September 2015. Consulting with the community in this way was a key strand in Council’s December 2014 resolution to upgrade from a proposed draft Community Food Growing policy to this broader strategy. This resolution was the result of pressure from community members who wanted Council to strive for something better when it comes to local food growing. 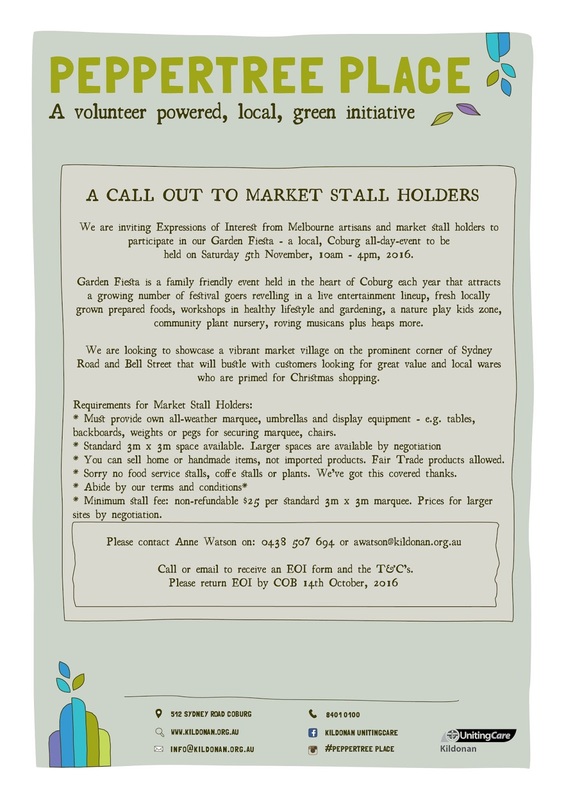 Soon it’ll be 2 years since we first saw the Community Food Growing Policy and started to advocate for something more. Where are we now, how did we get here and what can you do to help get things moving? So where’s our strategy and what’s happened over those 2 years? Well, by April of 2015 Council had allocated $30,000 for the development of a draft strategy and engaged consultant. Over the middle of 2015 he worked with a group of 30+ community volunteers who met three times. A great deal of goodwill, time and thought was invested by this group in what was one of the largest community consultations that Moreland Council has undertaken according to Council staff. This consultative approach to developing the strategy reportedly made some within Council nervous. The output of that advisory group was a "framework", three admirable and worthwhile goals with measurable, observable outcomes and concrete statements of intent designed to guide Council activity. Completing a strategy was an ambitious aim for that group given the time they had so it was unsurprising that it didn’t happen. The framework they produced was a good, solid base to work from but there was still the expectation that it would become a strategy. As it stood, it lacked details of who would do what by when to make these outcomes happen. Fast forward a year and this diminished version of the framework (in lieu of the requested strategy) presented for approval at the August 2016 Council meeting no longer contains any Council commitments. These were removed during the course of the “extensive consultation” after it left the community advisory group. Minutes from the August Council meeting imply that this framework (not a strategy) was the intended outcome. Actions proposed to support the framework (see page 185 of the agenda - careful it’s BIG) are narrowly focused, unambitious and will do little to advance any of the framework’s goals let alone move closer to a substantial strategy. It’s hard to say why we find ourselves in this situation. Is it a result of accidental, gradual, bureaucratic dilution? Perhaps Council departments are overstretched and doing what they can to avoid being even more overburdened? Maybe there is a concerted effort to squash the local food growing agenda? Regardless, we have no strategy despite the wishes of the community and the Councillors. Two years on the reasons we gave for growing more food locally and the need for a robust local food production strategy remain. The case for supporting urban agriculture and local food production is stronger than ever and other local Councils are introducing or extending their commitment. On 9 September the Municipal Association of Victoria (MAV), the statutory peak body for the 79 local governments in the state, endorsed the Urban and Regional Food Declaration. At Moreland Council however, little has changed. Thankfully we still find pockets of support and individuals who will help but there seems to be no executive support or Councillor sponsorship. What activity there is doesn’t address the broader agenda described by the framework. Moreland Council has squandered the community’s goodwill, money, time and effort and is yet to address this need and opportunity. There were those in the community who warned that, by challenging the proposed community food growing policy, we might end up with nothing. They’ve been right so far but the story isn’t over. In late July 2016 Councillors were approached by the community to help get the strategy back on track and to give it some momentum and oversight. At the August Council meeting they deferred the report and challenged some of the assumptions that are contained in it. Now, more work is being done to progress towards a strategy not framework. Well, Council elections are fast approaching (this Saturday, 22nd October). Lobby your local councillors! Exercise your democratic muscle. If you don’t know which ward you are in check this map or enter your address details here. Once you know this, look below for contact details of all the candidates in your ward. Contact each of them, tell them you care about this and ask them what they will do. Whether they respond or not, spread the word! I’m a Moreland voter and I’m getting in touch to find out where you stand on something before I vote at the council elections this weekend. 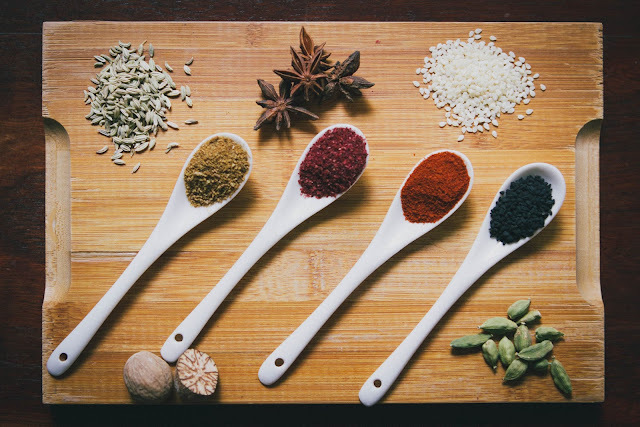 protect and nurture our food culture, celebrate our diversity and build our community. 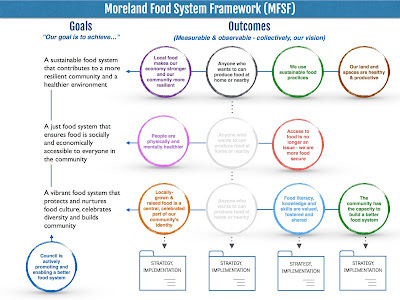 Food is a really important part of Moreland’s identity and I want our food system to help make people healthier, provide jobs, connect people, build capacity and resilience in our community and lots of other things. Council needs to help make this happen. If you are elected, what will you do to support the development of a vibrant, just and sustainable local food system for Moreland? 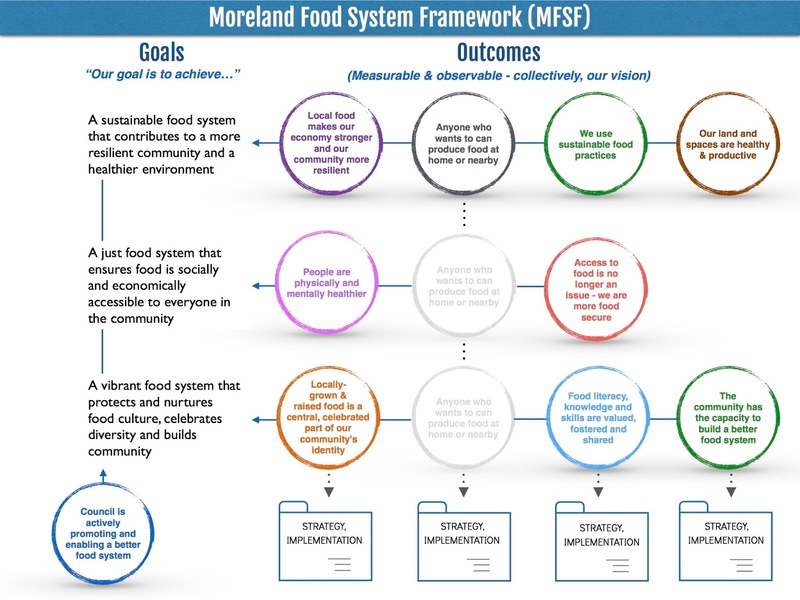 How will you progress the continued development and implementation of Moreland’s Food System Strategy, and support the Social Development unit to undertake this work through the budgeting process? Thanks in advance for getting back to me. I’ll share your response with all my friends and family help and spread the word for you! Go on. You've got nothing to lose and a decent Urban Ag strategy for Moreland to gain! Barkly Square in Brunswick is ‘going green’ this October with a celebration of the botanical variety at the Flower & Garden Market. Are your plants looking a bit tired? Book sick and neglected plants in for a check-up, diagnosis and treatment plan with Barkly’s very own plant doctor, Ben Taylor, Ceres horticulturalist. Limited spots available, book now. 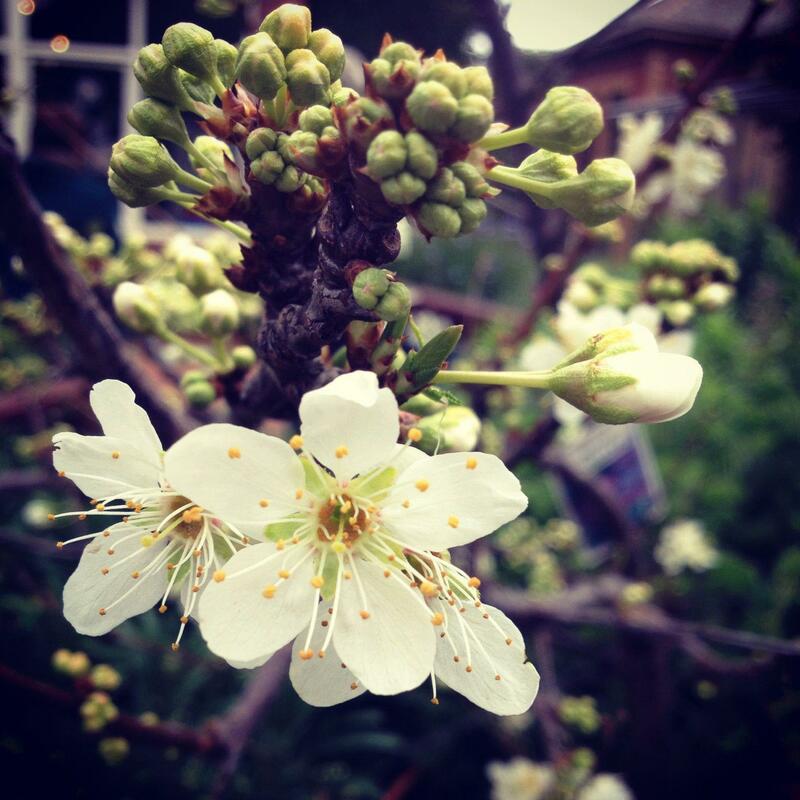 Are you a budding gardener? Share and swap prized Heirloom seeds with your neighbours at our seedling swap. No bookings required. You can learn all about planting, potting and caring for plants with our propagation masterclasses. Book on the day. Limited spaces. A version of the propagation masterclass for the little ones! Book on the day. Limited spaces. Master the art of terrarium making with the creative team from Home-Work. Book on the day. Limited spaces. Embrace your inner-creative with pot painting classes from the colourful creative team at Home-Work. Book on the day. Limited spaces. 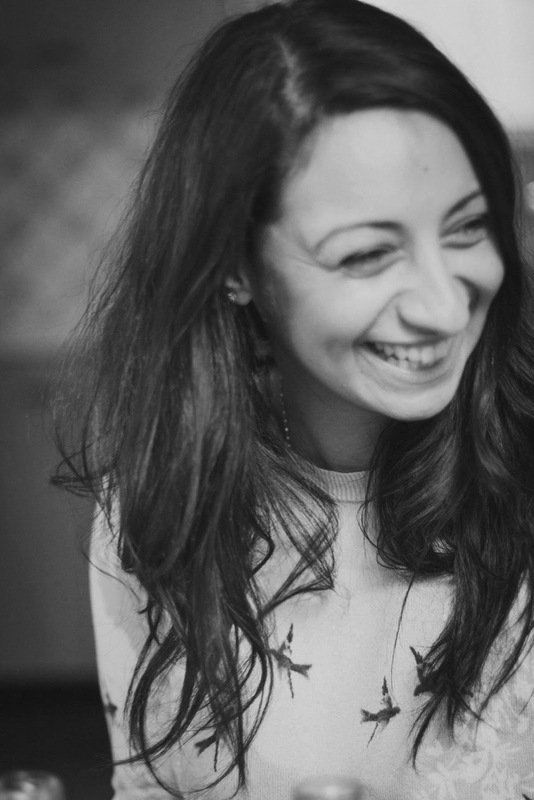 Nutritionist & artist, Rasha Tayeh will be hosting a “Spring Rhythm” masterclass which will give ideas on how to restore, balance and renew energy with medicinal herbs and seasonal produce from the pantry and garden. Book on the day. Limited spaces. Treat yourself (or a special someone) and pick up a beautiful bouquet from Gangemi’s pop-up flower stall. And last but not least, sample some of the finest produce from our fresh food retailers and kick back to some cool tunes from our local musicians. 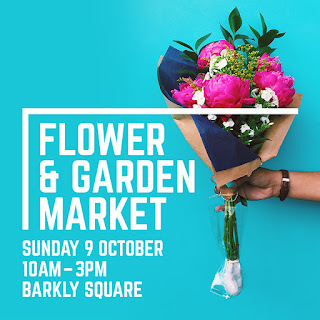 See you at the Flower & Garden Market! · Employment is conditional upon a satisfactory police check. · A current Victorian driver’s licence and use of own vehicle. Forage, prepare, cook and eat from nature’s abundance! Discover the wild urban parklands along Maribyrnong River and learn to identify a variety of edible plants, get to know their characteristics and culinary uses. We will learn to harvest wild edible plants safely and appropriately (with respect for the land around us). We will find nutritious wild plants and use them to create a unique wholesome spring menu. 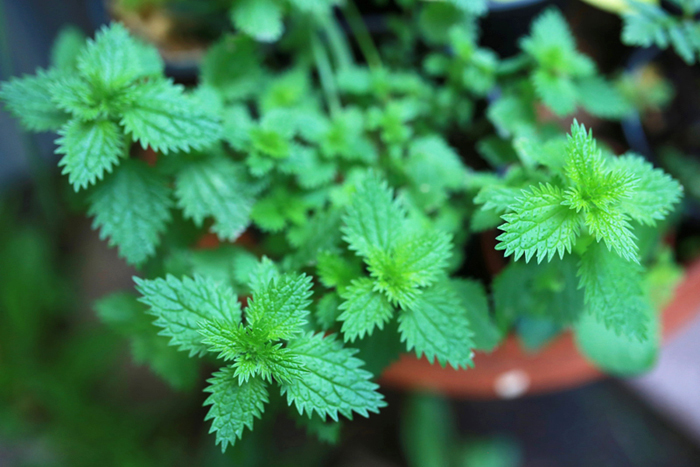 You will learn to make traditional Italian ricotta gnudi featuring nettles; herb burnt butter sauce, wild greens spring salad and enjoy refreshing herbal infused drinks. Includes gluten-free options. Concession spots available. Please contact me if you’re interested. Includes: Wild food walk, cookery lesson, wild food spring lunch, drinks and recipes to take home. Please wear/bring: walking shoes, long pants, knee-length gloves, apron. Join key players in urban agriculture to celebrate achievements of the past 20 years, reflect on lessons learnt, and plan for a strong coordinated future. THE EARLY BIRD WINS WORMS and more! 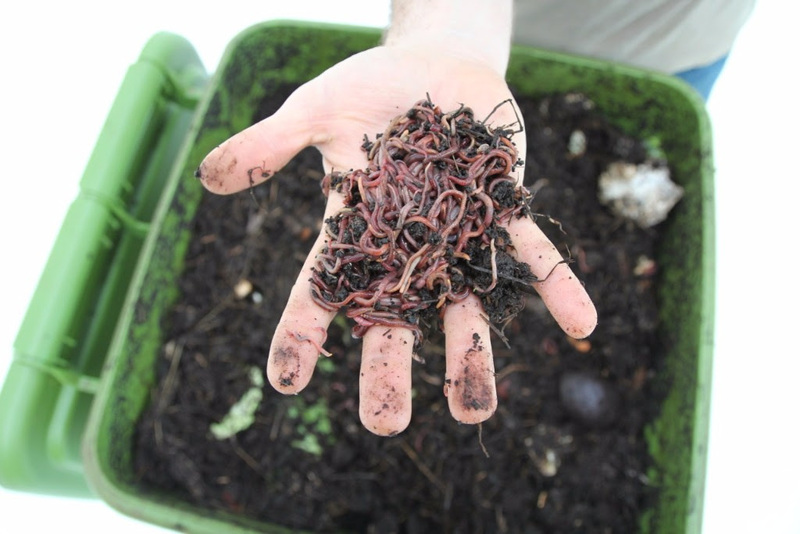 a Hungry Bin worm farm, 2000 live worms, and free delivery. Valued at over $400! Thanks to our friends at Wormlovers. one of two Biofilta Foodwall wicking beds - a vertical and modular system to provide a highly water efficient vertical wicking garden bed that is self-sufficient. The winners will be drawn on October 12 at 5pm. What's good about Urban Ag? This two day forum will showcase best practice projects and case studies from Australia and internationally. Delegates will learn, discuss and plan the next steps required to strengthen and expand the urban agriculture movement in Melbourne, Victoria and the country as a whole. influencing council and state government policy regarding food, environment and health. Michael Hands, CEO, 3000 Acres. There are a limited number of sponsorship packages available. Sponsors will be profiled in our conference booklet, have a display space to promote your organisation's work, services and / or products, and receive complimentary tickets. Please email riki@sustainaustralia.org and we will be in touch with more information. The Annual 3000acres Spring Fling Festival is fast approaching! Join us as we celebrate the all things sustainable food, gardening and the start of the beautiful new spring growing season. All are invited to this super fun afternoon featuring a jam-packed program of free gardening and sustainability workshops, a huge pop-up plant sale, kids activities, live music and food stalls in the lush grounds of the Saxon St Community Garden in Brunswick. Alice in Frames: Big appetite, small footprint. 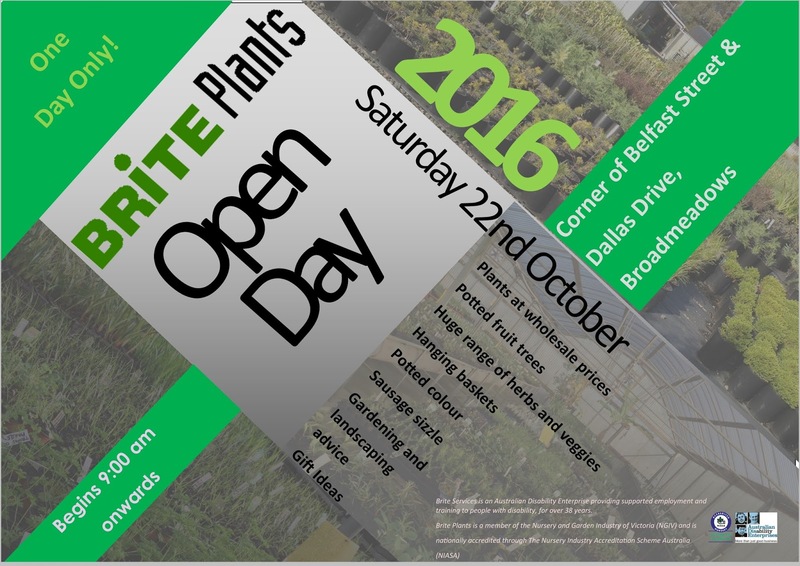 ...plus a HUGE plant sale of indoor and edible plants. For the little ones: We will have a fairy garden to explore and lots of hands on activities with growing green goodies for kids to take home. So with busy bee times ahead in the Spring garden, join in our full program of free workshops covering all the tips and tricks to make your garden flourish. 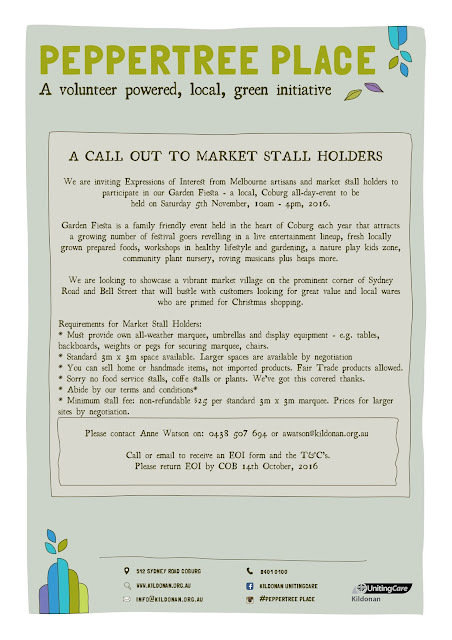 Or else just come along to peruse some wares at pop-up indoor and edible plant sale, grab some lunch from the food stalls and listen to some live music on the grass in the afternoon sunshine.